Amplius Field Service Group can supply you with one or more engineers during a project or rollout and support you through any difficulties your company must endure. We have already supported many companies all throughout Scandinavian countries that have more than 200 users employed. Rollout, imaging and migration are just an example of how projects take a long time and involve large number of end users. However, this is necessary to ensure that ours and our end customers’ employees are set up with the equipment they require, to be able to perform their tasks and keep their business ahead of the competition. The process of deciding how and when the rollout is going to take place is one of the most difficult parts of the project. Our customers often have multiple sites, large number of devices or specific operational requirements such as operating during business hours only, important operational teams etc. You will be assigned a project coordinator from the first initiation, who will work with you closely on planning, scheduling and delivery of the project. During the installation phase, the coordinator will report to you on daily basis (unless otherwise requested) on the success of the project or for any unexpected issues. The coordinator will also be responsible to ensure the schedule is as planned and act as a point of contact for all parties involved. Customization/configuration can be done onsite or remotely at the customers’ request. The lead engineer will check with the team onsite and report back to the project coordination, again on daily basis. After the completion of this process, the onsite team will check for any errors in configuration or installation of the device or system. This process is possibly the most significant as we must be sure that every end user keeps all their necessary data from their old device. We are required to transfer all data which the user needs, so they can continue to feel comfortable when using the new device, without the fear of missing data or data not being in the right place. The fourth part of the process leads us to ensuring the users are comfortable with any of the new hardware or system in that matter, that they now have. With the engineers/team onsite we can ensure we provide excellent customer experience. 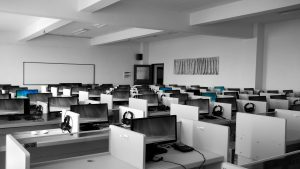 If some users feel like they are unable to adapt to the new environment, we can provide the training and make sure that they will not have any issues. When the equipment is being decommissioned, we are able to do this for you. 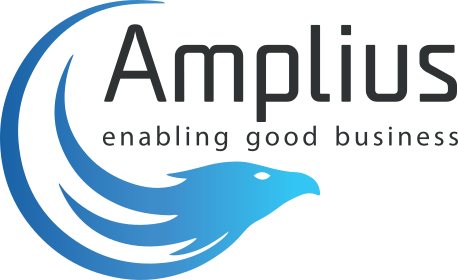 At Amplius we are always up to date with the best practices of hardware disposal across this industry.